If you were to create a short vision statement for the future of Vancouver’s economy, what would it be? A resilient future economy for Vancouver is an economy that is inclusive and diverse, regionally coordinated and communicated, tied to innovation across major public and private institutions, and generates enough wealth for the regional population to feel secure and sustain a high quality of life. 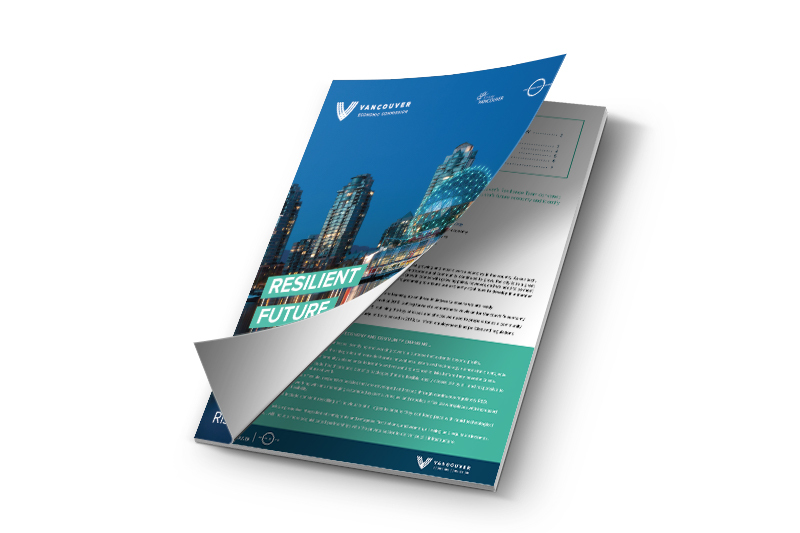 On November 7, 2017, the Vancouver Economic Commission and City of Vancouver’s Resilience Team convened a group of private sector stakeholders to develop a collective vision for Vancouver’s future economy and identify the issues we must address in order to realize that vision. Who’s Contributing to this Vision? WHAT IS THE BIGGEST OPPORTUNITY YOU SEE FOR VANCOUVER’S ECONOMY IN THE NEXT 20 YEARS? WHAT IS THE BIGGEST CHALLENGE YOUR ORGANIZATION IS LIKELY TO ENCOUNTER IN THE NEXT 15 YEARS? will include businesses identifying and working toward a purpose that extends beyond profits. will include the integration of more deliberate innovation clusters and technology demonstration projects. will include using community data science to identify and respond to economic risks before they become crises. will include healthcare & benefits packages that are flexible, easily accessible, and responsive to individual needs. will include flexible, responsive policies that are developed and tested through continuous regulatory R&D. will include working with and managing automated systems, vehicles, and robotics. will include constant re-skilling at all ages to ensure they can keep pace with rapid technological changes. will include proactive integration of immigrants & refugees, first nations, & women, all being paid equitable incomes. will include more sophisticated partnerships with the private sector to deliver public infrastructure.